A visit to Byron, Georgia is a wallet-friendly adventure. There are even some things to do that won’t cost you a cent. Sweet! 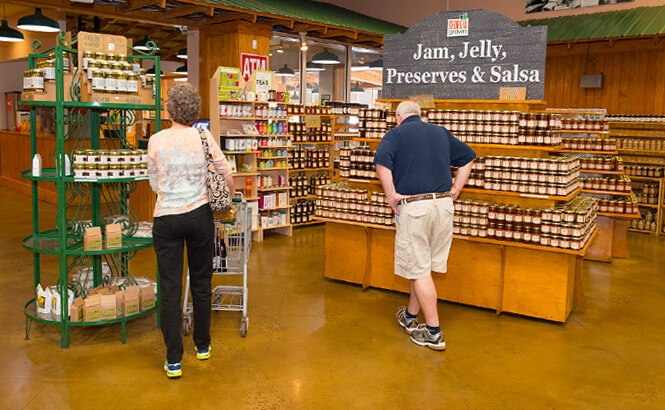 Start with a visit to the Byron Welcome Center, located in the Peach Shops at Byron. Pick up a brochure and set off on a driving tour of Byron’s Historic Downtown. With luck, your visit may coincide with a free concert at the bandstand in Byron’s Jailhouse Park. Sit back and enjoy the music. 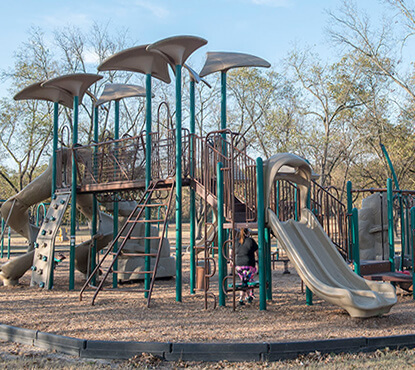 Have a picnic at North Peach Park in Byron, then wander the trails, play ball, let the kids play in the splashpad, hunt for Pokemon, or pick pecans or chestnuts in season or take a walk on the new Cemetery Park Trail. Ever wonder how the peach makes it from the tree to your table? Take Lane Southern Orchards’ free self-guided tour of the peach packing process and find out! 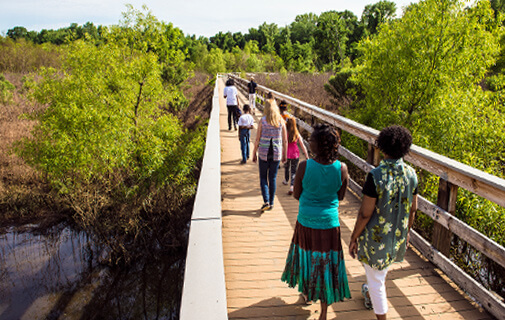 Enjoy the view from the elevated catwalk, learn the basics from the informational cards along the way, and watch the journey of the sweet Georgia peach from the farm in Fort Valley, Georgia to your table, mid-May through August. Venture 10 miles southeast of Byron to the Museum of Aviation in Warner Robins, Georgia to view 93 historical aircraft, memorabilia, and the Georgia Aviation Hall of Fame. The second largest Air Force Museum in the U.S. offers free admission.